This is the second part of our interview with games designer Emanuele Ornella whose games include: Assyria (2009), Martinique(2009), Byzanz (2008), Hermagor (2006), Il Principe (2005), Oltre Mare (2004), and Fantasy Pub (2003). What influenced you to design Assyria? 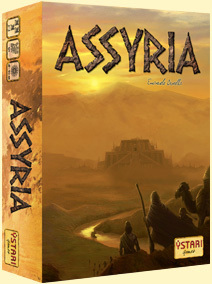 Did Assyria start with theme or mechanics? How do you create a board with so many different icons and know it’s the best layout? Today’s post is very special as it’s the first in what I hope to be an on-going set of occasional interviews with game designers. I’m always intrigued by the game design process so these interviews will focus on the game design process and the game of designing. 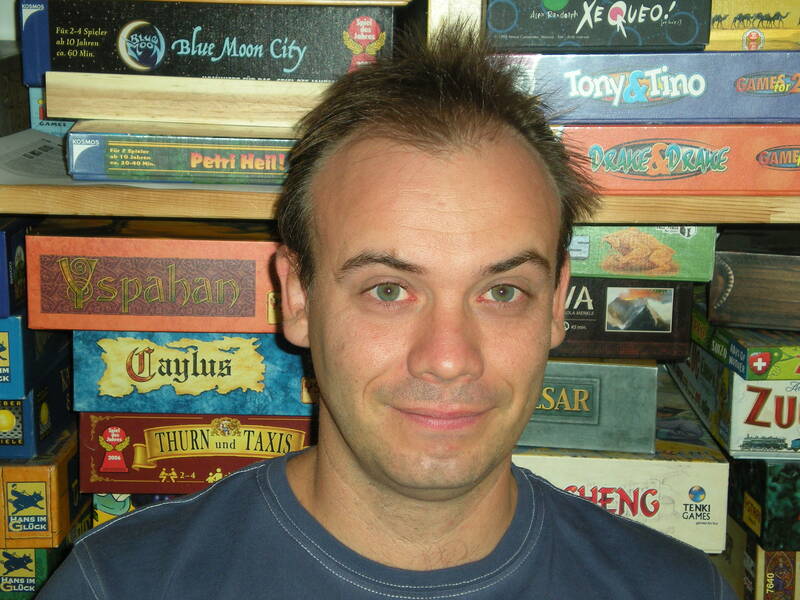 Emanuele Ornella is an Italian game designer who has designed many games in recent years. His games include: Assyria (2009), Martinique(2009), Byzanz (2008), Hermagor (2006), Il Principe (2005), Oltre Mare (2004), and Fantasy Pub (2003). Hi Emanuele. Thank you for talking to us about your design approach and experience. Seven game designs in seven years – that’s a very productive track record. Where did it start for you? Ystari games usually contain careful planning and thinking, so when we were at the Rio Grande Games stand we decided to give it a try. Players place huts on a landscape featuring two rivers, supply their huts with food and can perform other actions too. The goal is to score as many points as possible from building ziggurats, hut placement and winning favour with dignitaries.